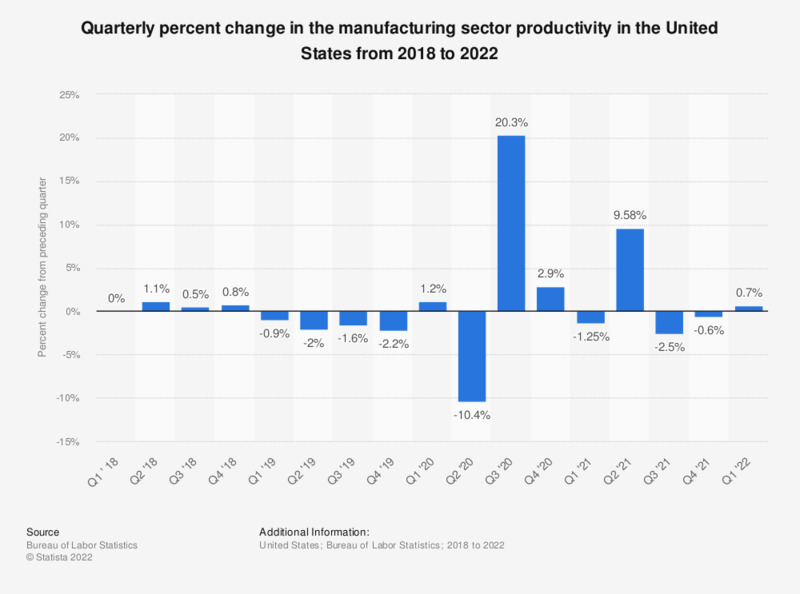 This graph shows the quarterly percent change in the manufacturing sector productivity in the United States from 2016 to 2018. The data are seasonally adjusted at annual rates. Productivity describes the relationship between real output and the labor time involved in its production. They show the changes from period to period in the amount of goods and services produced per hour. Manufacturing sector productivity increased by two percent during the fourth quarter of 2018.